Bud is using Smore newsletters to spread the word online. 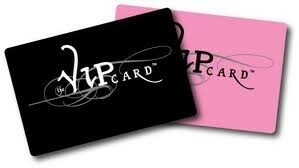 The VIP Card is currently looking for motivated people willing to work from home. This is an extremely fun job and allows you to set your own hours! Part of your responsibility is to call on high schools, churches and non-profit organizations in Manhattan and Junction City to share our unique and highly profitable fundraisers. Best known for our signature black and pink loyalty cards, we are quickly becoming an industry leader in the savings card business. We offer all kinds of bargains and deals from Disneyland discounts, to church fundraising solutions to everyday savings on things like restaurants, hotels to other things that you probably spend money on every single day. With our easy to use website, and powerful memberships and savings packages, we doubt there is anyone that won't find our services useful in their daily lives. that are just looking for an innovative and fun way to market their business. In addition, we do fundraising for schools and sports teams as well as providing services to non-profit companies looking to boost their community exposure. Wherever you are in the country or even if you're simply looking for online savings, you'll find our services easy to use, fun to share, and ready to meet your needs. You don't just have to have a Kansas discount card any longer, because we are wherever you are.